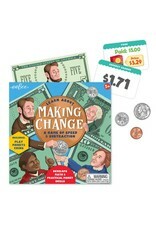 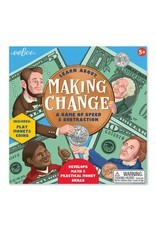 Making Change is an educational game where players use mental math to subtract the price of an item from the amount paid to make the correct change. 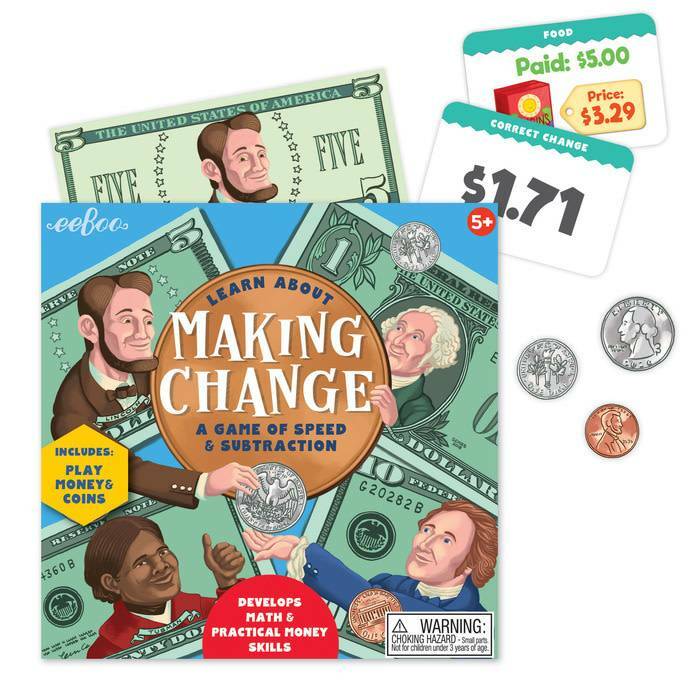 Whoever collects the most items wins, get one item from each of 10 categories for bonus points. 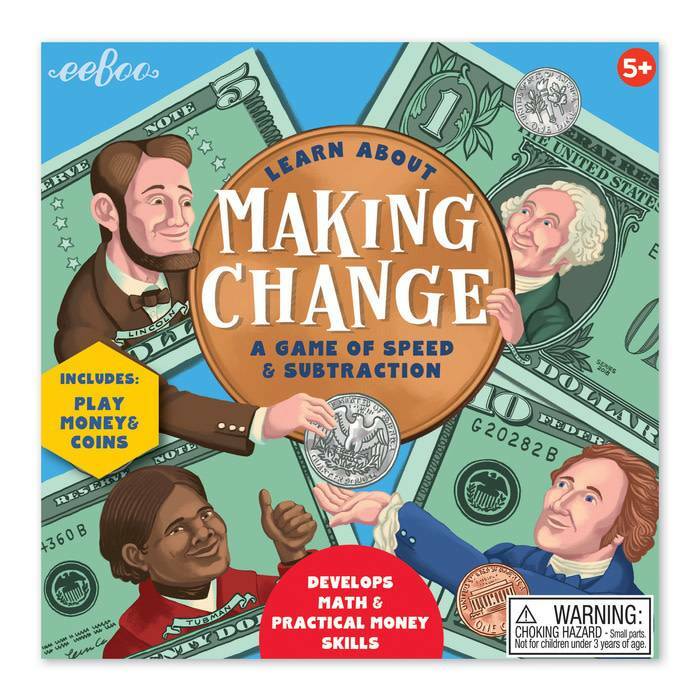 Making Change helps to build practical math skills.